Te bashkangjitur keni nje shkrim te cilen na e ka derguar permes email-it Ibrahim Zajazi, nje merghimtar nga Zvicra. Te drejten e botimit dhe shprendarjes se tij neper internet na e ka rezervuar neve. Keshtu qe lexim te kendshem! Shkrimin e tij ma ka derguar edhe ne formatin PDF file por s'po di si ta ngarkoj ne forum?! The University of Lausanne, Switzerland. As Marko Poli was writing about the post ‘Alexandrine’ populations of Central Asia, the curiosity was lightning up even further in Europe to explore the ever – mystical Asia. Marco Polo claims Balkh, in modern Afghanistan, is the city where Alexander married the daughter of King Darius. He continues his account with the description of the nearby kingdom of Badakshan. The rulers of Badakshan, Polo writes, are the direct descendants of Alexander and his Persian bride. In honour of their forefather these kings all bear the title of Zulkarnein, the Muslim name for Alexander. Marco Polo fuels the popular legend that Bucephalus, the majestic horse Alexander possessed since age 14, was actually a unicorn. So not only the conqueror wore horns, his horse did too. According to Polo in Badakshan there lived a breed of horses which were the direct offspring of Bucephalus and local mares. All of them were born with a horn on their forehead, says Polo. This breed was the exclusive property of one single member of the Badakshan royal family. He stubbornly refused to grant the king ownership of some of these remarkable horses and was therefore executed. In revenge his infuriated wife decided to destroy the entire breed. Thus the race of unicorns became extinct. Later brave European scholars undertook bold expeditions of explorations in also in these remote areas that once were thought to have been fantasized by Marko Polo. They became convinced that truly Marko Polo had written about a factual reality: a multitude of tribes in Central Asia, begining from the northern Afghanistan, through the endless mountain ranges of Hindokush and all the way to the plateaus of Pamir (today’s Tajikistan) cherished living legends about lineage from Alexander the Great and his soldiers. Alexander the Great was being remembered with great piety like a glorious great grandfather and lots of Macedonian traditions –his unforgettable army- were, to everyone’s astonishement - still being preserved. Toponyms, rivers, lakes were keeping his name whereas in the spiritual beliefs of some of these tribes clear forms of pagan religion broght by the Alexander the Great and his army could be distinguished. From these same legendary peoples that were still surviving in the modern times would be inspired the British writer R. Kyplyng for writing his book ‘The man who would be king’ in which fragments of the life of these peoples would be described with a tone of mystery. But what does the history tell us about this? Any research about the origins, ethnic character and the progeny of the ancient Macedons should be done by having regard on the given pre-historic context of Balkans. The main place is in the Balkans pre-history is kept namely by the Pelasgians, a pre-Hellenic people that used to speak a “barbarian” language, i.e. non-hellenic. Who were they? Ancient Greek writers used the name Pelasgians (Greek: Pelasgoí, s. Pelasgós) to refer to groups of people who preceded the Hellenes and still dwelt in several locations in mainland Greece, Crete, and other regions of the Aegean, as neighbors of the Hellenes, into the 5th century. The whole ‘Haemus’ continent, from the borders of Thrace and Macedonia to the extreme point of Peloponnesus and as far as remote parts of Danube in North, was peopled with the great Pelasgian nation. The ancient Greek references to the Pelasgians are confusing. However, it is agreed that Pelasgians had spoken a "barbaric" (non-Greek) language. Ancient writers agreed that the Greeks increased in numbers and strength, eventually dispossessing the Pelasgians. Some of the earlier inhabitants were driven out of their southernmost Balkan holdings. To escape the increasing pressure others voluntarily migrated northward. Yet others were absorbed into the Dorian and Greek populations. During the later period of Greek colonization other discontented Pelasgians were scattered throughout the Mediterranean basin. Thus by one process or another - by expulsion, by migration, by absorption or by dispersion - the Pelasgian presence diminished in old Greece. Their concentration in the upper provinces of the Balkan Peninsula, especially in Epirus, Macedonia and Illyria, made it possible for them to conserve their Pelasgian identity, language, culture and traditions. “The primitive seat of the Aryans before their dispersion was in Europe. The Swiss lake dwellers and the old Pelasgians who survive in the Albanians of to day were descended from the primitive Aryan stock”(1). Albanians “...almost all live at the foot of the Acropolis where the Pelasgians lived of old” (2). “That Shkipetaric the language of the Albanians is the modern representative of the ancient Pelasgian” (3). “The Albanians are apparently the most ancient race in southeastern Europe. History and legend afford no record of their arrival in the Balkan Peninsula. They are probably the descendants of the earliest Aryan, immigrants, who were represented in historical times by the kindred Illyrians, Macedonians and Epirots; the Macedonians and Epirots are believed by Hahn to have formed the core of the pre-Hellenic Tyrrheno-Pelasgian population which inhabited the southern portion of the peninsula and extended its limits to Thrace and Italy. The Illyrians were also "Pelasgian", but in a wider sense”(4). Only for a few other ancient Balkan peoples has been written as much as for the Macedons and their ethnic identity. Some have gone astray from the science tracks and contrary to all those arguments handed down to us by history, have pretended that the Macedons were ‘Greek’ or that the modern Greeks (who with the exeption of the name have nothing else in common with the ancient ones) bare the main claim or exclusive right over the Macedons. In order to be as clear and as convincing as possible for the reader, we shall briefly render some irefutable facts which prove the Pelasgian or Illyrian being of the Macedons, or their non-hellenicity. The entire Macedonia, a country with great political ideals and ruler of the world in the times of Alexander the Great, had had in ancient times a Pelasgian population (Justinus, lib. VII. 1. 1). Macedo, appears in the ancient genealogy of the peoples from the Hem peninsula, as a descendant of Pelasg (Apollodorus, Bibl. lib. III. 8. 1). Herodotus also writes that the Pelasgians who dwelt in the region of Pindus were called Macedoni (lib.I. 56). The ancient populations of Illyria were of the same nationality as the Macedonians. It is widely accepted that the fictive claim of “Hellenic descent” of Macedonian kings was a smart diplomatic effort of them to gain Hellenic credentials and privileges among the Hellenes. But the supposed ‘Heracleid’ originof them had no weight at all since during all the time Greeks and Macedonians contested such claim. In the eyes of each other, Macedonians perceived Greeks as a foreign people as well as Greeks perceived Macedonians and their kings “not only no Greek, nor related to the Greeks, but not even a barbarian from any place that can be named with honors, but a pestilent knave from Macedonia, whence it was never yet possible to buy a decent slave" [Demosthenes, 3rd Philippic 31]. In 480 BC, the Macedonian king Alexander I attempted to participate in the Olympic Games, and met with resistance by competitors, who regarded him as a non-Greek. Even Alexander the Great himself despised the arrogance of Greeks in his Macedonian army during Asiatic exploits: “Do not the Greeks appear to you to walk about among Macedonians like demi-gods among wild beasts?" [Plutarch, The life of Alexander, 51, 2]. "Both Herodotus and Thucydides describe the Macedonians as foreigners, a distinct people living outside of the frontiers of the Greek city-states" (5). "It is clear from the extant historians that the lost sources made a CLEAR DISTINCTION BETWEEN MACEDONIANS AND GREEKS - ethnically, culturally and linguistically - and THIS MUST BE AN ACCURATE REFLECTION OF CONTEMPORARY ATTITUDES....."(6). The closest ethnic and cultural bonds of the the ancient Macedons remains undoubtedly the one with the Illyrians (who used to live in the land that today is populated by the autochtonous people of 8 million Albanians). “The aboriginal Macedonians were closely identified in speech, dress, and method of wearing their hair with the Illyrian tribes by the ancients “(7). “The Macedonians, who seized on the district anciently called Emathia, were, in all probability, of Illyrian origin” (8). In this case the aim of this expository essay is not to unravel in a chronological manner the whole history of the Macedons and Illyrians, but to focus on some main, substantial points.The death of Alexander the Great signaled the end of the brief union of the three Albanian kingdoms: Macedonia, Epirus and Illyria. Without the unifying personality of Alexander his vast empire quickly dissolved. There being no hereditary successor to the throne, his very capable generals divided the empire, each setting up his own kingdom. Antipater continued his administration of Macedonia and Greece. Lysimachus took Thrace. Antigonus took Asia Minor. Ptolemy got Egypt, and Perdiccas took over Asia. Relations among these leaders gradually deteriorated. For 50 years the so-called Wars of the Successors tore the empire apart. Philip of Macedon and Alexander the Great were magnificent memories, but there was no worthy successor. By 275 B.c. relative stability prevailed once more, with the Seleucid dynasty in Asia, that of Ptolemy in Egypt and environs, and that of Antigonus Gonatas in Macedonia. During the war, however, native princes had assumed control of most of Epirus and Illyria. In effect Antigonus inherited only Macedonia and Greece. The three Pelasgian kingdoms of Macedonia, Epirus and Illyria each went its own way, cooperating in desperation altogether too late to avert their common ruin by the Romans. The fifteenth century historian Laonikus Chalkokondylis concluded that there were no other people that resmbled Macedonians more than Albanians. Even though during the Middle Age Macedonia has been assimilated at times to the favor of the Byzantine Empire and at other times to the favor of the Slavs, yet her original character has been proudly preserved among the today’s Albanians who had retreated to the most mountainous areas of their homeland, where they retained their ancient ethnic substance as descendants of Pelasgians and pelasgian ethnities (Illyrians, Macedons, Epirotes, Thracians etc) . “Of the races which inhabit Macedonia today only the Albanians have any claim to be autochthonous. Their southern branch, the Tosks, are most likely the lineal descendants of the ancient Epirotes. Their northern branch, the Ghegs, are probably the people whom the ancients called Illyrians. Of the ancient Macedonians whose original seat lay between Monastir and Vodena, no heirs remain, unless indeed any remnants of them escaped civilization and became counfounded with the kindred Albanians” (9). “I do not have to speak for the Epiroti. They are very much stronger men than your Tarantini, a species of wet men who are born only to fish. If you want to say that Albania is part of Macedonia I would concede that a lot more of our ancestors were nobles who went as far as India under Alexander the Great and defeated all those peoples with incredible difficulty. From those men come these who you called sheep. But the nature of things is not changed. Why do your men run away in the faces of sheep?" The following citation pretty much synthesizes all what has been said so far: "We may, indeed, pretty safely set down the modern Skipetar, Arnauts, or Albanians, as lineal descendants of the Illyrians and Macedonians"(11). Alexander the Great and his Macedonian army (i.e. ancestors of modern Albanians) had subdued with increadible ease the mos powerful empire of that time - Persia. This way Alexander’s empire stretched from the Adriatic Sea to the mountains of Himalayas and the rivers Ind and Gang. "The men who marched to Babylon, Persia and India were the ancestors of the Albanians..." (12). “The Albanians had constituted the phalanxes of Alexander the Great” (13). During the struggle to subdue India and to reach the eastern ocean the Macedon army didn’t obey the orders of their general and threatened with mutiny, to the point that the great Leka had to turn back. Exactly at this historical moment, the Great Leka re-enforced the holdings he had swept by appointting trusted governors or by leaving Macedon garrisons and commanders at strategic spots. “When Alexander occupied it after his victory over Darius III in 330 B.C, he made no changes in the Persian administration. But Alexander’s many followers had settled there and formed an important part of the population. The mixed population was living under the Seleucid kings even after the death of Seleucus. Alexander had realized the strategic importance of Bactria to his eastern possessions and had established there a large military colony. After his death this colony had grown into the dimensions of an important kingdom, the veterans having freely intermarried with the Iranian and Scythian populace”(14). 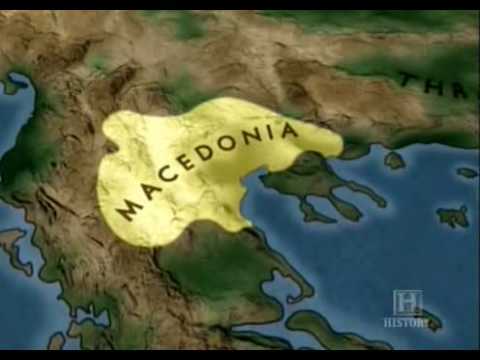 In the following centuries it was namely in Bactria where the Macedon Kingdom grew strong, politically and militarily. Here is what the ancient historians safeguard: Diodotus, the governor of the thousand cities of Bactria defected and proclaimed himself king; all the other people of the Orient followed his example and seceded from the Macedonians. (Justin, XLI,4 ). Strabo also suggests that these Macedonian conquests went as far as the capital Pataliputra in northeastern India (today Patna): "Those who came after Alexander went to the Ganges and Pataliputra” (Strabo, 15.698). "The Indians occupy in part some of the countries situated along the Indus, which formerly belonged to the Persians: Alexander deprived the Ariani of them, and established there settlements of his own. But Seleucus Nicator gave them to Sandrocottus in consequence of a marriage contract, and received in return five hundred elephants." [Strabo 15.2.1(9)]. He also writes that: "they extended their empire even as far as the Seres (Chinese) and the Phryni"(Strabo, XI.XI.I ). Several statuettes and representations of Macedonian soldiers have been found north of theTien Shan, on the doorstep to China, and are today on display in the Xinjiang museum at Urumqi (Boardman ). 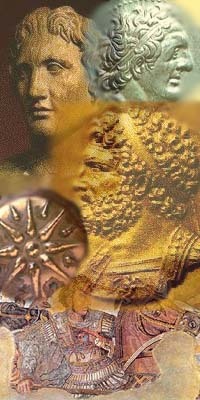 “When the portrait coins of the Greek kings of Bactria and India are compared, there is no difficulty in seeing a racial resemblance. In the first Bactrian princes the head is low like that of the typical Macedonians, in the later kings” (15). “The Kafirs are believed to descend from the soliders of Alexander the Great and the Hunza of Gilgit too. The kinglets of Badakshan claim the same origin. The legend runs through the valleys of the Pamir, and over the passes of the Hindu Kush, to the very borders of Karakoram”(16). These lands fully match with the geographic location of ancient Bactria. “Legend has it that the light-skinned peoples of Kashmir, Gilgit, the Hunza Valley, and Baltistan are descendants of the soldiers of Alexander the Great. Those who know Rudyard Kipling’s The Man Who Would be King, or the superb film that was made of it, will recall how the local tribes awaited the return of Sikander, Alexander’s soon. There may, in fact, be substance to this charming legend. Alexander fought his way through the Khyber Pass and entered northern India via the Indus valley in 327 BC. The following year, Alexander won a major battle against thelocal king at Hydapses, but his army refused to march any deeper into India. Alexander returned to Persia, but he left behind many thousands of his elite Macedonia troops, with orders to marry local women and found Greek satrapies. In classical times, Macedonians and most Greeks were a fair-skinned, blue-eyed people who showed their Germanic roots – a far cry from today’s Hellenes, who are the product of centuries of racial mixing with multiethnic Ottoman Turks, Slavs and other Balkan peoples” (17). Interesting is the fact how Alexander the Great and his soldiers are remembered just like among the Albanians as worthily ancestors. As the shortened Albanian form for Alexander, “Leka” can also refer to Alexander the Great of Macedonia, who in Albanian legendry is regarded as an ancestor of the Albanians (Robert Elsie). “They claim as their Albanian countryman Alexander the Great, whom they call “Lek i Madh”, and of whom they assert that he was born in the village of Emadiya, in the Mati region of Northern Albania” (18). “Skipitar, Epirot, Arnaut, or Albanian of Albania…It was the language of the ancient Illyrians (in the Greek sense of the word); perhaps the language of the bulk of the Macedonians; a language, perhaps, of the whole of ancient Greece ; and a language which was almost certainly spoken far to the north, the east, and the north-east of its present frontiers; hi other words, it is a language which has receded” (19). “Alexander the Great must, according to these archaeologists, have spoken an ancient Albanian dialect at his riotous banquets with his Macedonian officers” (20). ”I became a friend of the Church’s Council and after some days one of the church advisor’s called çiko phones me to let me know about their difficult position. During the conversation he told me that he found that I was interested about the history of Albanians and he wanted to show me what his father or his grandfather had told him.He told to me that his father had graduated at the Cairo University and as a student he went for a walk together with an Albanian student. A student of another nationality joined them too, their friend. While, they were walking they spoke in Arabic language. When they had to talk about something that was secret they spoke in Albanian in order not to be understood by their friend. Their friend kept quiet and when they finished the conversation he told them that he understood everything, and that he speaks that language too. Two Albanian students remained amazed and asked him why he didn’t tell what he had studied Albanian language. He swore that he had never studied Albanian, but that language was spoken in his birthplace.They told him how could be spoken the Albanian language there; that he came from the cursed devil in Pakistan near India. He explained them that his country was called Burria (men)(Burushu) and surely all of them were burria (men-soldiers) of Alexander the Great. The two Albanian stubborn students didn’t believe to him. The boy became nervous because they called him a liar. He wrote to his father that when he will buy him the ticket for summer holidays he wanted to take two of his friends from the university who were speaking Albanian language. So, two Albanians went on summer holidays together with their friend in the place called Burria and when they arrived there they remained senseless when they realized that they were speaking Albanian Language (surely in dialect). The boy’s father since he was the Governor of Burria accepted them with a lot of pleasure and explained to them many interesting things and told to them that beyond the mountains on the Indian part live our people in a place calls Kaushet (Qaushet). I think that they didn’t settle there after the murder of Achilles(Cleats), but they remained there when Alexander the Great decided to come back from India to Babylon and older soldiers who were Phillip’s soldiers, before leaving he asked them to go through Hindu Kush, an easier way for older people.Whereas he left himself, Petale, India, through the desert of Makran, a very difficult and dangerous road. Whereas half of the army leaded by Narkos was asked by him to go through the Indian Ocean, thinking that he will be connected with Nile and will come out in the Mediterranean Sea. I think that those who were sent through Hindi Kush about six thousand soldiers stopped in actual Burria. But, it is not sure yet because Alexander in order to protect the rear of the supplies he left many of his soldiers as in Baktria and in any other fortress. Burushu could be any of those soldiers. Whereas in 1990, in a cocktail in Washington it was my honor to have a long conversation with the Pakistani’s ambassador in Washington and I asked him: “Tell me does it look like that the family Buta seems to be with European face that it is whiter from other Pakistanis”. He told me that they are Greeks and remained there after Alexander, they even have the monument of Alexander the Great in their town and that they are called Pashtun-Pashto-Invader(Pushtues-Albanian) (21). “BURUSHO. The Burushos – also known as Hunzus, Huzukuts, and Burushaskis – are a mountain people who live primarily in Hunza State and Nagir state in Pakistan. They live in deep valleys and gorges cut by the Hunza River and its tributaries. Currently, the population of the Burushos exceeds 60,000 people. 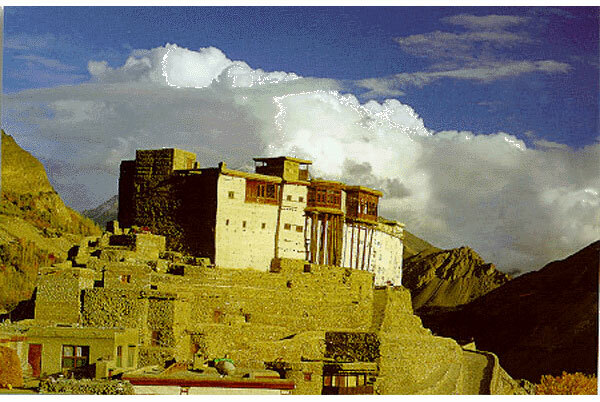 Somelive across the Pakistani-Chinese frontier in the immediate border region of Tibet. Ethnolinguists are unable to classify the Burusho language, but it is divided into two dialects that reflect Burusho locations in Hunza and Nagar. Burusho legend claims that they descend from three European soldiers left behind when the armies of Alexander the Great began their retreat from the region. Each of these soldiers founded a village – Baltir, Ganesh, and Altit – and all Burushos claim to descend from the peoples of one of these villages” (22). So it has been accepted by the majority of the linguists that the Burusho language doesn’t contain any connection with the neighboring regional languages. This language contains a certain lexicon which appears to derive namely from the official language spoken before Christ in Bactria and the surrounding regions –the Macedonian- the native language of the Great Leka or some kind of the old Albanian. The toponym that has given the name to the whole province “Hunza” etymologically resonates with Albanian word “Hunza” (in southern Alb. dialect “Hundez”) meaning “small nose”. What should have been the direct refering of this toponym we can only guess, but there is a great possibility that it refered to the shapes of the mountains that must have been nose-shaped. Another toponym of equal significance in Hunza, mountain Rakaposh, finds a stunning similarity with Albanian: “Ra ka poshtë”, meaning “Down it fell” which may be describing the downfall of the snow over the ridges of this mountain. The other mountain – Bubullimatig finds aproximity with Albanian “bubullimë” meaning “thunder”, or “Bubullimatik” meaning “thunderous” or “thundering”. The very ethnonym of the inhabitants of Hunza “Burusho” finds a perfect analogy in Albanian word “Burrash” meaning “Manly” or belonging to the men (males), which must have been used to name the language of the military ellite of the Great Leka that had married with local women and later to name the identity of the progeny. This same ellite, we suppose, has savored its own language (contrary to the language of their wives – Persian or some variant of it) and has named it “gjuhë Burrash” meaning “language of Men” and that differed from that of the women – it made sense. 1. The irrigating canal in Burrushaski is called “dala”. In Albanian it means “the exitory” and it implies the out-passing of the watter (while in southern dialect this word is pronounced “Dalja”). 2. In the dialects of Yasin and Nagar (in Hunza) the dog is called “huk”. It has an equivalent in Albanian: Uk (southern dialect “Ujk”, archaic version “Ulk”), meaning “wolf”. 3. The wood in Burrush is called “hun”. The analogy in Albanian is “hu” (in plural “hunj”) meaning “wooden club”. 4. In Yasin dialect “nani” and “Nene” are used for “mother”, whereas in Hunza and Nagar for the uncle or the aunt. According to our data, similar dialects with that of Wakhi in Hunza and of the Kalash are also spoken in Pamir. The main toponym that characterizes this province is impressive; Pamir in Albanian is decrypted: PA (meaning “view” or “to see”) MIRë (meaning “good”), that referrs to the beauty of the plateaus and amazing valleys of Pamir when it is viewed from the mountain range of Hindokush. “Alexander the Great, known locally as Iskander or Sikander, is a popular figure in Central Asia, after whom several lakes and mountains are named. His troops are blamed for the occasional blond haired, blue-eyed Tajik, although this is probably more the result of Aryan influence” (23). Similarities are not limited inside the linguistics aspect. Due to the previous studies done by modern researchers we learn that many dances of the Hunzaks have similarities or are identical with the Albanian ones. The royal Macedon symbol - the Sun is still preserved on the material ornamentations of the Kalashs and the styling shape of this symbol is completely similar with the one we find in the Albanian people’s art. Another proof as convincing as the latter is the carving of the two goat horns on the doors of houses. Numismatics proves that the symbol carried by Alexander the Great on his helmet was the bicornate of the goat. It is interesting that a great number of peoples throughout Asia continue to identify Leka with this label: Iskander ZulQarnain, from the old Arabic “Leka the Two-horn”. The national hero of the Albanians, Gjergj Katrioti – the Skanderbeg has carried on his helmet the symbol of the bicornate as a remembrance for the tradition and the glory of his ancestors – Leka and the famous Macedons. Musical instruments of some ethnic groups of Pamir have incredible resemblance with the Albanian ones. 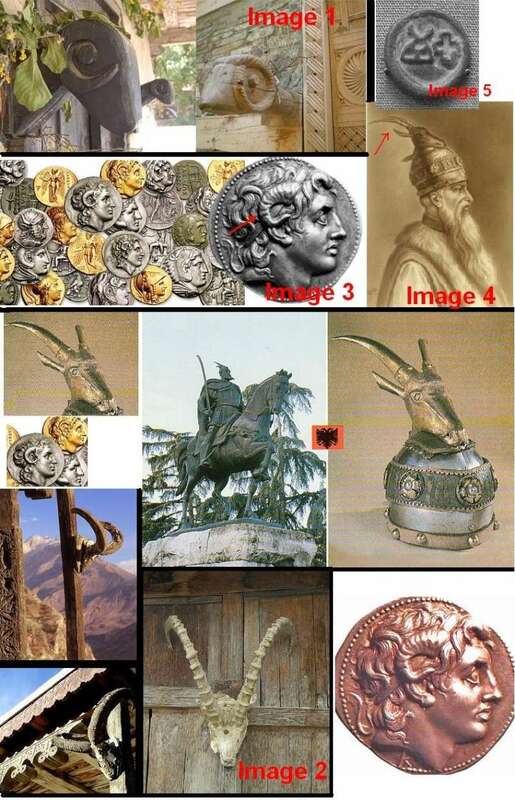 As ancient authors have accounted (Strabo), the Illyrians (Albanian ancestors) have used “wired instruments” and the comparing images below verify such a claim. We hope that we have given an argumented expository essay on the links between Albanians (the descendants of the Macedons in Europe) and the Hunzaks, Pamirians and the Kalashs (descendants of the Macedons in Asia). Surely there is much to be discovered in the future about these innumerable similarities. Therefore, these “Alexandrine” ethnic groups should be cautious not to mingle with the false pretenders of the similarities with them – today’s Greeks and Slavs of Macedonia. Neither of these populations has anything at all in common with the ancient Macedonia and Macedons. In the beginning of this study we have unraveled some of the facts that the Macedons of the Alexander the Great had nothing in common with the Greeks. Likewise it should point out that the modern day Greeks have nothing in common with the ancient ones because they are a big mixture of the Slavs, Turks and Vlachs. On the other hand the history proves that the Slavs in Macedonia have arrived 1000 years after the kingdom of the Alexander the Great and any link between them and the ancient Macedons cannot stand. 1. PROCEEDINGS OF THE CANADIAN INSTITUTE Third series vol. 3. The American cyclopedia a popular dictionary of general knowledge edited by George Ripley and Charles A. Dana, Second edition revised Volume XIII, Palestine printing New York D.Appleton and Company 549 and 551, Broadway London 16 Little Britian, 1879. 4. The Encyclopaedia Britannica , Albanians, edited by Hugh Chisholm, Encyclopedias and dictionaries, 1910, p.483. 11. Journal of the Royal Anthropological Institute of Great Britain and Ireland, 1879, p. 232. 21.	http://www.xhakli.com/2004/11/10/sen...-albanians.php About author: The author of this story Rexh Xhakli has assured articles from the library of Columbia University. Casually in one of the regions of Pakistan there is an discovery that can change fundamentally our national history. The discovery is about Iliro – Albanian population hold over from time of “Leka i Madh” (Great Leka). 23. Bradley Mayhew, Central Asia: Kazakhstan, Tajikistan, Uzbekistan, Kyrgyzstan, Turkmenistan, 2007, p.37.